Filipino Rex Wao was defeated by the Japanese Takahiro Yamamoto via 1st round KO. Yamamoto connects a body shot that puts Rex Wao down and unable to continue the fight. Yamamoto improved his record with 18 wins including 16 victories by way of KO while Rex Wao dropped his record with 11 wins (9KO) with 3 defeats. Rex Wao loses his last 2 big fights. 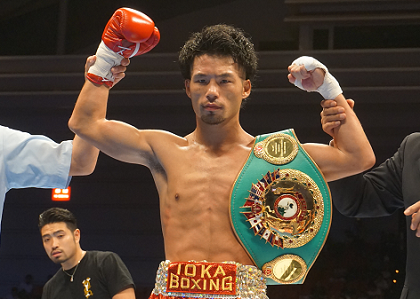 In the Main Event, Jonathan Guzman shocked the Japanese fans after beating Shingo Wake via 11 round TKO. Wake down twice in 2nd, once in 3rd, once in 5th and once in 11th to finally give up the fight. Guzman won the vacant IBF World Super Bantamweight title and improved his record with 22 wins with 22 KO's.